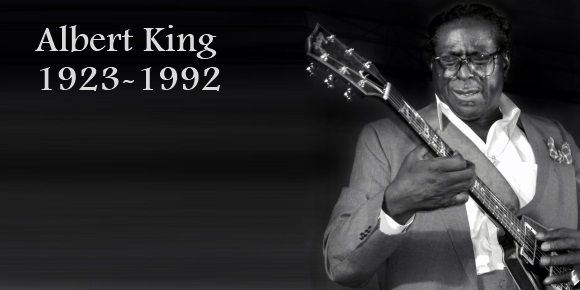 Albert King was known as “The Velvet Bulldozer”. He was born on a cotton plantation in Indianola, Mississippi. During his childhood he would sing at a family gospel group at a church. He began his professional work as a musician with a group called In The Groove Boys, in Osceola, Arkansas. Influenced by blues musicians Blind Lemon Jefferson and Lonnie Johnson, the electric guitar became his signature instrument. His preference was the Gibson Flying V, which he named “Lucy”.